Today I'm very pleased to be interviewing Joe Craig, who is the author of the fantastic Jimmy Coates series. This is a fantastic fast paced read full of action and adventure that will keep you hooked from the first page to the very last. 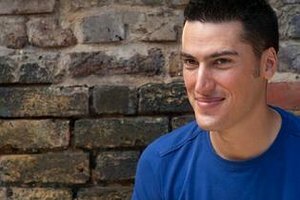 I'd like to thank Joe for agreeing to do this interview and for taking the time out to answer a few questions for Mr Ripley's Enchanted Books. This has been one of my favourite Q&As that I've received recently - very interesting, incredibly engaging and very amusing. Thank you very much, Joe. Style icon, innovator (chiefly scarf-knots). Dreamer of dreams, snacker of snacks. The guy over there with the hot pocket square. Few regrets, lots of fountain pens. Part sushi, part shortbread. Chocolate brownie investigator. Philosopher, musician, games-player, chef and lover of benches. Reader (impatient), photographer (selfies and dogs only), doodler (labyrinths). Preacher of kindness and quality stationery. Lover of films and good socks. How would you describe the Jimmy Coates series to potential new readers? Jimmy is on the run from the secret service. In his escape he discovers abilities he’s never had before and instincts that keep him alive. These abilities and instincts keep developing, gradually taking him over. So while fighting the system that sent the secret service after him, he’s battling for control of his own body and mind. “The Bourne Identity for kids,” is how it’s usually described in reviews. I wrote it because I’ve always been so frustrated with books. I’m an impatient reader. I was put off by those thick fantasy books I saw people reading at school and the ‘classics’ my sisters read. They made no sense to me. But I loved stories – gripping stories. The kind I saw in movies. I wanted to create that for myself. Something sogripping that even the most impatient reader in the world – me – wouldn’t be able to put it down. So Jimmy Coates combines all the thrill and mystery elements I loved about The Bourne Identity, Harry Potter, Mission Impossible, The Fugitive, Terminator and James Bond. But there’s no magic. It’s all real. What's the trick in writing great books for boys? How do you engage with them? Tell a story. That’s it. But just the story. So that every word counts. When you ask me about engaging with ‘them’… there is no ‘them’. It’s me. I am still the impatient boy reader I was when I was 8, or 12, or 17. If there is a trick, it’s to trust that primal instinct that wants a story and won’t put up with waffle or cliché or a lack of rigour. I am ruthlessly honest with myself. I don’t trust anybody else to hold me to the same standards. I often write the end of a sentence before I’ve written the beginning. I often get away from the computer and write at my second desk, which is just for fountain pens and beautiful notebooks. I write naked. I’m sure that’s less strange and more common than you’d think, you just don’t hear about it because other writers aren’t comfortable sharing it. Sometimes I have a dressing gown on. It’s not a deliberate thing, it’s just that I start getting dressed, turn on the shower, and I’m thinking about my story the whole time so I’m drawn to the computer to get some words down without realising the shower is still running. Suddenly it’s a few hours later and I notice it’s a bit chilly and the bathroom’s all wet. If I want a change of scene I go out to write in a café, for which I need clothes. I usually prefer writing at home because I’m very particular about having to have certain music playing. While writing, I eat a lot of radishes and bee pollen. Not together. That would be ridiculous. Finally, as a writing break, I massage used coffee grounds into my hands. I’ve actually had to think about this quite a lot, partly because there’s been movie and TV interest in my books over the years. As you’ll see, it’s possible I’ve thought about this a little too much. I wrote the part of Ares Hollingdale with Ian Richardson in mind. When the original version of House of Cards was on TV in the early nineties I was too young to watch it, but I caught about two seconds of it while my parents were watching. 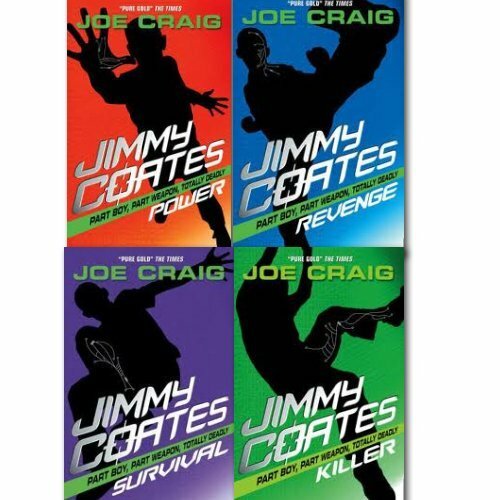 The whole Jimmy Coates series is an extrapolation of what ten year-old me imagined that TV series must be, based on the two seconds I saw. Sadly, Ian Richardson died a few years ago so he can’t be in an adaptation of the Jimmy Coates books now. Instead, I’d like, in various parts, Anton Lesser, Iain Glen, Greg Hicks, James McAvoy, Hugh Laurie, Natascha McElhone, Jason Statham and Viggo Mortensen. The part of Miss Bennett was written for Saffron Burrows. Paduk was written for Vinnie Jones (sort of). Saffron Walden was written for Thandie Newton. I’ve also written the Jimmy Coates theme tune. It’s awesome. What's the funniest thing a child has said about your books? I said that I did. She opened one of the books, looked at the printed words and said, “But how did you do that? And so many of them?” She thought I’d physically written out all of the copies of all of my books. She was struggling with the basic concept of a ‘book’. It was a humbling reminder of what writers and publishers are up against when we’re trying to get people excited about reading. Some of them have reached Year 8 without even knowing what a printed book is. Oh, this was supposed to be a ‘funniest thing’, wasn’t it? That wasn’t particularly funny, just the strangest and one of the most powerful. What is your least favourite part of the publishing/writing process? There’s also a lot of incompetence around so when you find the good people you have to do everything you can to hold on to them. And it’s a treat when you find someone with imagination. There’s a lot of enthusiasm in the industry, sometimes even passion, just not many ideas about what to do with it. I wish we all backed things we believed in, despite perceived risks. I’m not interested in writing anything that promotes sexism, horror, intolerance, religious bigotry or football. Nothing I write will ever have the name of a bird in the title, unless it’s a bird of prey. I’ll never write anything with a colour in the title unless it’s red, blue, green, white or black. I won’t write anything named after a type of the weather, or anything that involves the weather in the plot. I won’t write a story with a title that follows the pattern of The Something-y Something of Funny-name Codswallop. Lazy. I hate all those stories where people at school (or college, university etc) get all worked up about something trivial that means nothing in the wider world. Usually they’re stories that involve the characters working out who they are or discovering the nature of beauty or something like that. Anything with an inspirational teacher reading poetry to the class. Anything where you could slap the characters and tell them to get over themselves. I’ll never write fantasy. I might write stories that involve an element of magic or worlds that aren’t quite like our own, but the stories you’d stereotypically call fantasy aren’t for me. I’ve been working on a book about a ninja. That took a while, but I’m pleased with the state it’s in now. So I’ve moved on to starting a book that takes a new look at what it means to be a superhero. Not just the powers. But looking at why anybody would use those powers to help people. That seems stranger and more ‘super’ to me. I’m only using real technology in the book too. Stuff that already exists, some of which is used by various armies or secret services. Superhero powers are out there, just nobody who wants to use them to help people. Is there anything that you would like to share with us? Yes: the word for the period of the year between Christmas and New Year’s Day. It’s called the interscotia. It’s a very useful word. The Norwegians call it romjul. It’s my favourite time of year. There’s something special about interscotial fun. Now you know the word, use it as much as possible. On twitter, instagram and facebook I’m @joecraiguk. On periscope I’m @joecraig and on snapchat I’m turkeyriding (long story). In real life I’m Joseph Alexander Canonball Craig. And that’s the first time I’ve revealed my middle names anywhere on the internet.